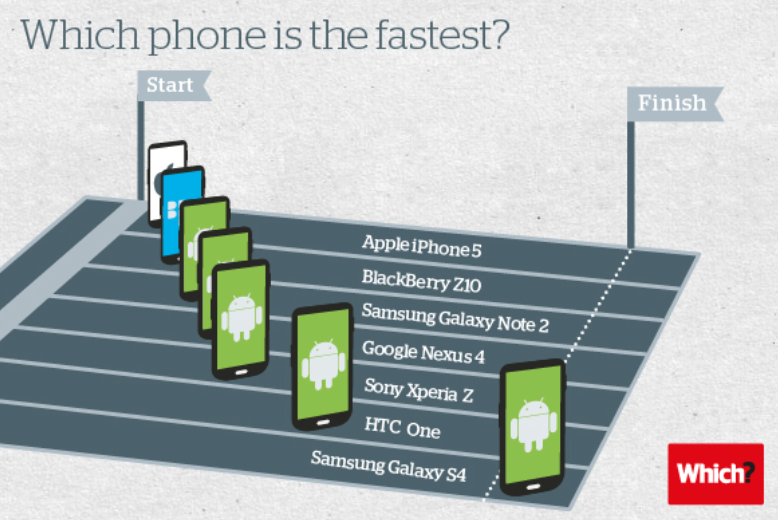 Which?, a highly-regarded UK consumer research organization, found the Samsung S4 to be both the fastest smartphone on the market, and the one offering the best battery-life – a pretty impressive combination. In the battery-life tests, which the organisation tests using its own phone network simulator to ensure consistency of signal strength, the S4 came out top in both call time and Internet use. Offering 1,051 minutes of call time and 405 minutes of internet usage, Samsung’s Galaxy S4 was the clear winner in our testing thanks in large part to its 2600 mAh battery. This means it can store a lot more charge than other phones. It offers twice the call time battery life of the iPhone 5 and a lot more juice for using the internet as well. Which? 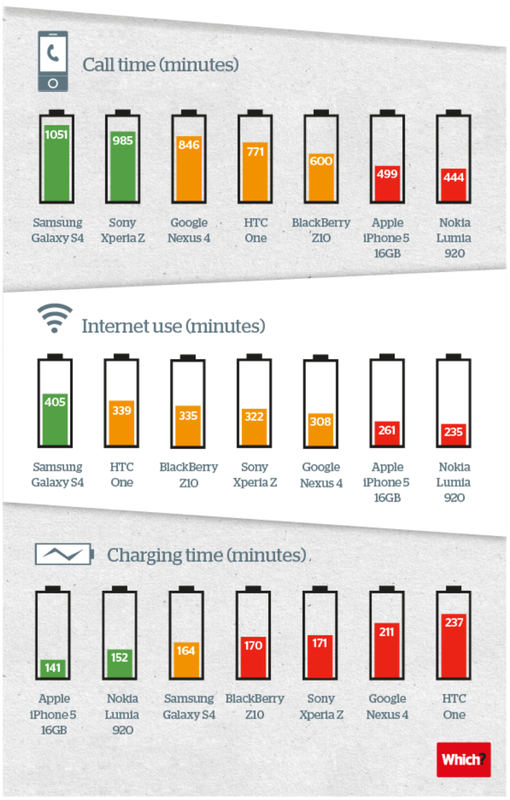 did point out that the Galaxy Note 2, which it also tested, beat all the conventional smartphones in the battery-life tests, suggesting that a large phablet is the way to go if you prize battery-life above pocketability.